Before the rain had stopped falling, scumbags all over Florida were caught looting while Hurricane Irma was still unleashing its wrath on residents of the Sunshine State. 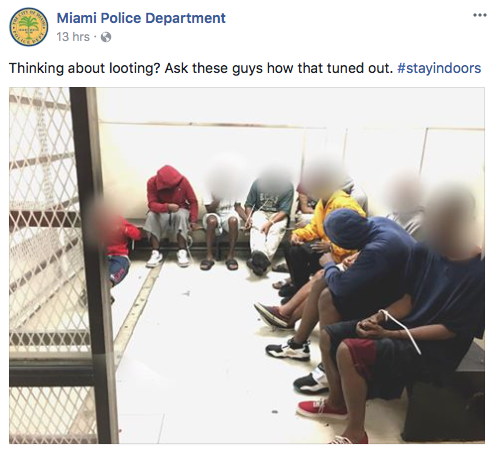 From Orlando to Miami, these human wastes of space did everything from loot businesses to breaking into evacuated homes in order to steal from hurricane evacuees. Some criminals even attempted to steal guns from a sporting goods store (the joke was on them, though, as the store was apparently empty). In perhaps the worst example of humanity, several criminals posed as utility workers during the storm, knocking on doors and robbing people at gunpoint.